Hello Friends of Kim's Kitchen Sink! My name is Dori, and our friend Kim was great enough to allow me to introduce you all to my new non-profit, Build.Create.Kenya (BCK). BCK is a non-profit organization that is dedicated to improving schools in the impoverished and under-served areas of Kenya as they become self-sufficient through building management, school sponsorship, teacher training, and the integration of arts and music programs. Our organization was founded in 2011 by four dedicated volunteers who bring a combined experience of thirty years traveling to Kenya and working with the country’s children in the education sector. 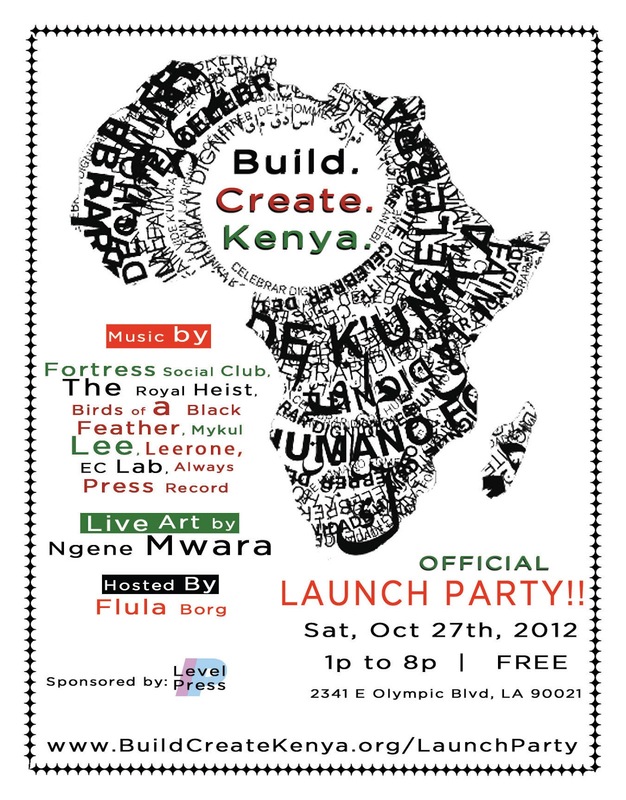 We are hosting an official launch party in Los Angeles on October 27th from 1:00 - 8:00 PM, and you are all invited! We are going to have amazing musical acts, great Kenyan artists doing live art, awesome raffle prizes, and will be raising money for education in East Africa! This event is FREE to attend, and all ages are welcome! For more information and to RSVP click here. See you there! 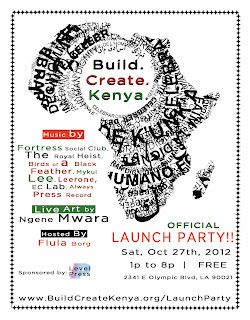 If you're going o be in LA on the 27th, you should definitely try to attend!